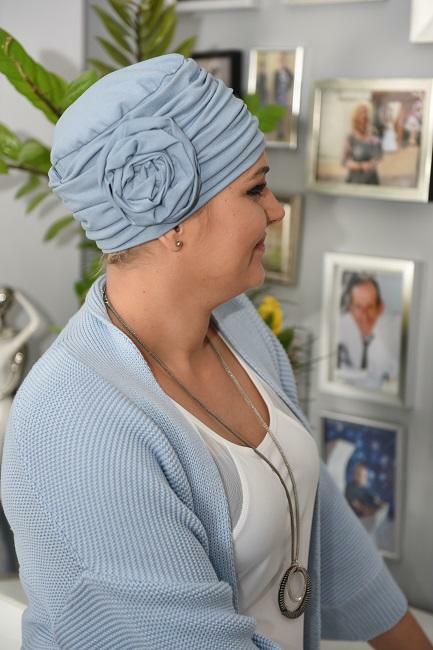 This is a beautiful bamboo hair loss hat with corsage detail to the side. Cut low at the back of the neck to conceal hair loss and ruching provides height.They are soft, comfortable and still stylish and flattering. Perfect for around the house or those long chilly walks.